Many women might feel a little daunted by the prospect of travelling solo to Iran to participate in an international, inter-religious dialogue among mostly male Muslim scholars and Benedictine monks; but not so for Brisbane Good Samaritan Sister Lorraine Victorsen. For many years Lorraine has remained steadfastly committed to learning about and engaging in inter-religious dialogue. So when an email arrived in her inbox “out of the blue”, suggesting she consider participating in a Benedictine-Shi’a Muslim dialogue in the Iranian city of Qom, the largest centre for Shi’a scholarship in the world, it was a “gift” she couldn’t refuse. “I considered this an opportunity of a lifetime to learn more about Islam from a Shi’a perspective, to really experience dialogue in a totally different environment where I was not part of the dominant culture,” explained Lorraine. She also felt it would be “a great privilege” to be part of “such a vital, contemporary Benedictine project”. Lorraine travelled to Iran last month to participate in the seventh Benedictine-Shi’a Muslim Conference – and the experience did not disappoint her. 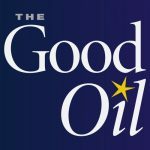 Speaking to The Good Oil earlier this month, Lorraine said it was “an amazing opportunity”, “extraordinarily beneficial” and “very enriching”. “It was also intellectually very challenging because the other participants were scholars and international leaders in inter-religious dialogue,” she said. In the true spirit of inter-religious dialogue, Lorraine said she returned with a stronger appreciation of her Catholic tradition, and greater reverence and respect for Shi’a Muslims. “Hopefully, I’m also a better human being, having experienced such amazing hospitality, respect, friendship, acceptance as ‘the stranger’ – all qualities we aspire to as Good Samaritans who follow the Rule of Benedict,” she said. The only female Benedictine in the group, Lorraine was also the only Australian. Other nations represented among the seven Benedictines, were France, Germany, Kenya, the UK and the USA. And while the Iranian members of the group were mostly men, there were also women participants, some of whom were theological students. During the six-day gathering, Shi’a and Benedictine scholars, drawing on their respective sacred texts, delivered a series of lectures that explored the theme “The Dignity of Being Human”. Discussions in small groups afterwards, according to Lorraine, were honest, respectful and fruitful, and the participants – Lorraine included – didn’t avoid difficult issues. “If we’re talking about human dignity and people’s human rights, we must deal with some of these difficult issues,” said Lorraine. Religious and spiritual issues discussed included the place of prayer in daily life, spirituality, mysticism and pilgrimage, while broader societal issues included human trafficking, freedom of religion, honour killing and capital punishment. Lorraine said on most topics there was agreement, but not surprisingly, there were also differences of opinion at times. “Everybody was happy that we agree on some things, we are similar in some areas, and there are some things we will probably never agree on, but we are still able to respect each other’s position,” she said. While in Qom, the group visited important national sites, museums, shrines and some of the 300-plus educational institutes that comprise the Qom Seminary. After three days in Qom, the group then travelled to the pilgrim city of Mashhad, about 1,000 kilometres north-east of Tehran, to visit the Holy Shrine of Imam Reza, the largest shrine and mosque in the world. It was here that Lorraine experienced a “really magic moment” that has remained with her strongly. “We were leaving the mosque area when the call to prayer was announced – and naturally, all Muslims in the area prepared to pray, including our host Mohammod and his wife. We Benedictines also turned towards Mecca and just stood in prayer,” said Lorraine. As she prayed Lorraine thought, “We’re all praying in the way we know. We’re not praying in the same way, but we’re praying together”. For her, this experience exemplified what inter-religious relations are all about. Generally held every two years, the Benedictine-Shi’a Muslim gatherings began in England in 2003 as Christian-Shi’a Muslim dialogues under the leadership of Benedictine Abbot Timothy Wright of Ampleforth Abbey in England and Dr Mohammad Ali Shomali, Director of the International Institute for Islamic Studies in Qom and the Head of the Islamic Centre of England. From 2011 the gatherings became specifically Benedictine-Shi’a dialogues and have been held in Rome (2011), Qom and Isfahan (2012), and Assisi and Rome (2014). The next gathering is planned for 2017 at the monastery of the Missionary Benedictine Sisters of Tutzing in Nairobi, Kenya. A short video filmed during the group’s visit to the Holy Shrine of Imam Reza, Mashhad, which includes interviews with Sister Lorraine Victorsen SGS and Abbot Timothy Wright OSB, can be viewed here.